This presentation explains the first steps in tracing your ancestors, including interviewing relatives and organisation of information as well as an introduction to major sources and how to use them effectively. It also provides tips on best practice for taking research further and outlines some of the pitfalls you need to avoid. 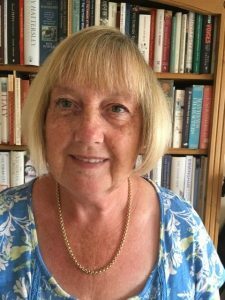 Doreen Hopwood was the Genealogist for the City of Birmingham for over twenty years and has been carrying out family history research since the 1970s. She has taught family, community and social history at all levels from absolute beginners to post-graduate and is now an Honorary Research Assistant at the University of Birmingham. She has been a regular contributor to family history publications and answered reader’s questions on all manner of genealogical topics, as well as giving talks and lectures. Her current research interests include the typographer John Baskerville and James Watt, whose bicentenary takes place in 2019.